Along with its vast body of philosophical teachings and contemplative practices, great Lamas of Tibetan Buddhism also carry a powerful tradition of rituals. These rituals address all the diverse problems of human existence, bringing spiritual support and enlightened wisdom to overcome the bonds of karma, strengthen brilliant awareness and good fortune. His Eminence Gyaldak Rinpoche, endowed with the blessings of the awe-inspiring Kagyu lineage, shares these rituals upon request in order to benefit humanity and help sentient beings. Tibetan healing rituals are performed for overcoming sickness, disease and injuries. These rituals are known for their power to strengthen the life force. Illness can have many causes, some of them mysterious and unseen. Healing rituals address these hidden forces to transform the karma and as well as attract the positive practical conditions for the patient to return to health. Tibetan ritual blessings for new ventures set in motion positive energies at the beginning of a new venture. Such rituals are performed for a new business, a new project or a new chapter in one’s life. Ritual blessings for new ventures are performed to attract benevolent forces, protection and removes obstacles. In Buddhism, the time of death is one of the most important times for spiritual energy to be raised to its greatest heights to help the individual become free from karma and take a positive rebirth or attain great liberation. This ritual provides a positive basis to help the deceased to find peace and liberation in their journey. Such rituals also soothe and heal the surviving loved ones by providing a beneficial form through which to transform in the grieving process. A birth represents the decisive period that sets the course for a child’s life. Blessing rituals for new born babies summon good fortune, catalyze their positive potentials, offer protection and help to fortify the connection between the child and their wisdom qualities. 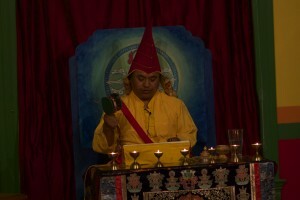 Dhondup Namgyal by phone at 510 – 734-7529. 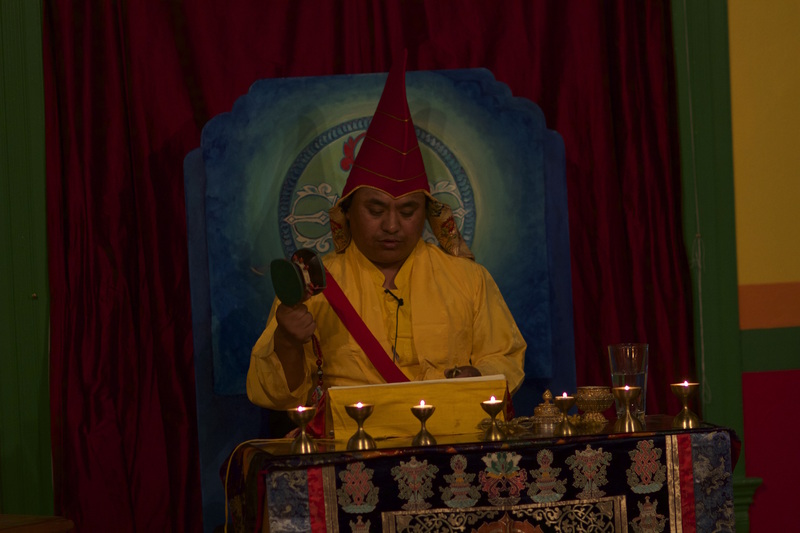 Out of generosity, Rinpoche offers these rituals by donation, regardless of ability to pay. For those who inquire as to the appropriate minimum donation, a suggested donation for ritual requests could be $108. However donations express the commitment and intention of the person requesting them, therefore in Tibetan Buddhist tradition, when requesting ritual blessings, one makes whatever offering would express generosity in order to accumulate positive momentum for the ritual, known as the accumulation of merit.